Blog What really affects the cost of new car insurance? What really affects the cost of new car insurance? Some tips to get you thinking and help you out on the factors in price for insurance before you buy the car. What REALLY affects the cost of insurance? Please note that these are general guidelines, but hopefully they will help you on the right track, and will avoid any unnecessary surprises! Because when budgeting for your car, you’ll also have to consider your monthly insurance payment. First things first: In insurance you’re the greatest factor. Yes YOU! So, this variable remains constant, regardless of the car you buy. If you have speeding tickets, bad credit, move often (yes some insurers consider how long you’ve been at the same address and give discounts for that), where you live (the zip or postal code) and your claims history (do you have claims?) are the strongest determining factors of rate. We have seen rates double, depending on the area a person lives (city vs. suburb, etc). Let’s not forget to consider the costs of young drivers, or new drivers. As well as the use of the vehicle (business, pleasure, etc). The number 1 factor in the rate has nothing to do with the car. Accidents involve repairs. Therefore, if the make of the car has higher than average costs on parts and/or labor, this is going to be factored into the insurance rate. You may also want to consider this as one of your own factors as well, since maintenance and repairs are always part of the expected costs of being a car owner. Oftentimes vehicles that are extremely popular – one unusual example I can give, were certain mini vans, at one time they had high theft rates. Why? As I understand it, it wasn’t just because they were reliable vehicles, and it certainly wasn’t because they were flashy. It was because of the parts. They were so popular, that parts were in high demand, so believe it or not, they became very expensive to insure compared to other less risky vehicles in the same class. Traditionally, this can effect the theft and collision portions of the premium. You can check out the IBC’s Top Ten Stolen Car list or see if your insurance provider can refer you to a similar list in your area or country. If the new car you want to buy is on there, you may have some added cost. This is used as a factor in determining the price of insurance. Obviously the greater the risk of theft, the more the insurance will cost. Now with brand new cars and models, the insurance companies don’t always have the exact data on what the experience will be with the car, so they use the data they have on hand to try to determine the appropriate rates. If you check out the list from year to year from the IBC, you will notice some vehicles always make the list. So when you compare insurance rates, you can bet the makes and models with the highest theft rates, even though they may not seem obvious to you, will have higher rates of insurance on the theft portion of the premium. Although you may not think it would affect insurance, the power of the vehicle can cause additional concerns in risk when we look at liability. A more powerful car can do more damage, as it travels faster (in general) . Add to that , the fact that often these are higher-end vehicles, the combination can cost more. Usually a 4cyl model will be less to insure than the 6. 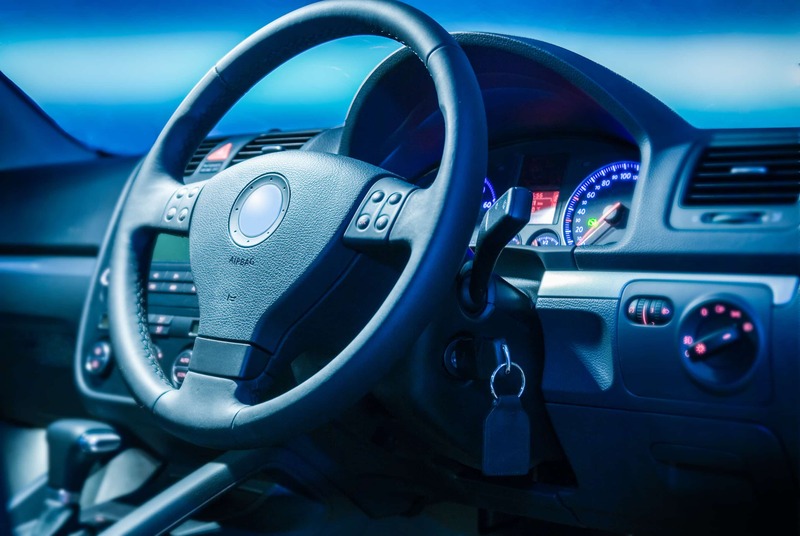 The interior finishing of your car will not usually boost insurance rates on the same model, but if the model changes with the interior – this will be factored into the rates as well. This can affect the Liability, Collision and Theft (comprehensive) sections of the premium. Including upgraded stereos, bodywork (for racing/style), or power alterations (usually after market). Watch out because this is where things get tricky. Before you start to plan on purchasing a vehicle and making all kinds of modifications to it, ask your insurer, agent or broker. Some modifications are no problem at all, while others move you into a category of a specialized market. Stereos can easily be added for a very small cost, but should always be mentioned when purchasing the insurance. Other modifications to the suspension, body or fuel sources – even vehicles with steering on the right side instead of the left, can be huge issues. So call those in first! Sometimes a broker can have access to a specialized market for these vehicles, but not every insurance company does. You may not be Jay Leno, but you may have a similar passion for antique cars! There’s good news – the car may be expensive, but the insurance doesn’t have to be. There are lots of options for antique cars, and in this category, in our experience we can find excellent rates on insurance – and so should you, because the vehicles are not driven much and are usually very well protected and cared for. Make sure you check for a specialized insurance company. For example, the ones we use charge much less than our regular insurers, because they specialize in the antique market. There are also additional considerations that the specialized markets may offer that are more advantageous than regular insurers, like making sure the coverage you get is agreed value and not cash value. You have to know where to insure these special vehicles to get the best price and coverage. Different insurers have different “appetites” for cars. As is the case with antique cars, and amphibious vehicles. For example, if we take the same client profile, and plug in a Porsche, we actually have markets who come in at half the price because for whatever reason, they aren’t as scared by the Porsche. On the flip side, we have markets who are way too high on that vehicle. We know this as brokers, based on our experiences – so keep this in mind when you check around. Different insurers really do have different appetites, they do not all use the same rule book! Find out if the vehicle you are purchasing requires special anti-theft devices or engraving. Many dealers will suggest you do this, suggesting it will give you a big discount on insurance. Call your insurance first and find out if you need the anti-theft, sometimes it is a requirement. Keep in mind that the requirement may not be the same with all companies! Secondly, if it’s the discount you’re after, find out how much that is. Sometimes the discounts are a mere $75 per year, other times they can add up to a couple of hundred dollars. Tracking devices can be fantastic , but may involve additional costs to you, like monthly fees. Other anti-theft choices, such as engraving, have one-time costs. Your insurance representative may be able to help you out in this regard. Check before you decide to install anything, and find out what it will really do for you. The best way to protect yourself from higher rates is to do a little research on insurance with your broker or agent, before you sign the papers. If your agent or insurer does not have access to several insurance companies (one of the benefits of dealing with a broker), then you should definitely call another insurer to compare. Have the exact model you are looking at ready, to make sure that you’ve got the right quote. As mentioned above, a 4cyl vs a 6 or 8 cyl – or the sport model with that incredible sliding roof, may all be different. Never be afraid to call or email and ask. It just may help make your decision easier, and that’s what your insurance advisor is there for! Anything is possible when you have access to many insurance companies and markets. You want to make sure that you have all the information to make an informed decision on your next purchase. Don’t forget the insurance! Oh, and the color? Well, check this with your personal advisor first, but in our experience, we have yet to see an insurance application that asks for color, so be happy, and get the one you love!